Since 1967, the Hoffman Process has helped more than 100,000 people regain a meaningful life. Refined over a 50-year lineage, the Hoffman Process is meticulously crafted to bring about permanent positive change. 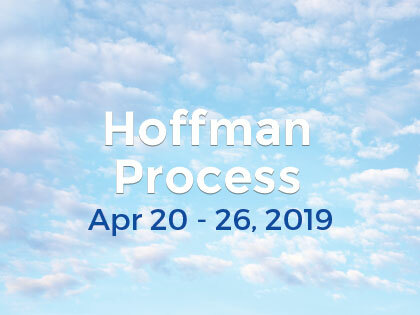 To find out if the Hoffman Process is for you, we invite you to complete our self-assessment test. We will contact you and discuss with you how the Hoffman Process can assist you in your life. Please tick the indicators that reflect your experience and click Submit. I think I'm going through a mid life crisis, a change of life, and I don't know how to ask for help. I either dominate, control and intimidate others, or I feel intimidated, bullied and manipulated and can't assert myself - I have low self-esteem. I'm scared to let go, as I have so much anger, frustration and grief stuck inside me. I work compulsively - often to avoid other aspects of my life. It impacts my relationships and happiness. I've read lots of personal development books, done retreats, courses, tried therapy and anger release work, but I still feel trapped and unhappy. I feel at a crossroads with major decisions to make. I don't know how to move forward or which direction to take. I often feel anxious or nervous for no reason. I don't know where to get support. I need help. Meaning is going out of my marriage, my career or my life. I often feel I'm just going through the motions. There's a lack of joy and intimacy in my life. I've been unsuccessful in creating relationships or have had repeated failed, unfulfilling relationships. I've messed up my relationship with my children and I want to be a better parent. I'm either unemotional and disconnected from my feelings or my feelings are running me. I'm struggling to find meaning in my life. Sometimes it feels pointless. I feel numb - on automatic pilot.